Book 4 (yet to be officially titled) will be released (hopefully) by the end of summer, 2017. Great news! COURAGE: Never Look Back, a prequel in the Makai series, has just been released in an anthology called The Playlist, a multi-author anthology filled with stories inspired by music and song lyrics. This anthology is a great read (not for kids) if you want to sample a fabulous collection of new authors! COURAGE, along with the entire Secrets of the Makai series, was inspired by the song, Lonely Stranger, by Eric Clapton. Haven't heard of it? Check it out here! It’s a haunting melody with lyrics that struck me as both tragic and emotionally powerful. We all have struggles as we grow up, some worse than others. Our childhood experiences determine how we interact with the world, and they define personal beliefs about ourselves and others. Accepting who we are, regardless of what we are taught, is definitely a sign of maturity and wisdom. But, what if the future of the entire population rested in one person’s ability to forgive and judge others? What if he came to the conclusion that the planet might be better off without the human race? ﻿﻿For 15 years, Tristan has tried to cope with hearing the thoughts of others. But that was child's play compared to what he must do now. When an old woman appears with a murderer hot on her trail, Tristan is thrust into a world of trickery and manipulation. With secret societies tracking his every move, Tristan must find the possessed emerald he was destined to protect and learn to control powers he never knew he had. Only, Tristan never was any good at doing what he was supposed to and the consequences for screwing up now could cost him everything he's grown to love. Tristan can't wait to get to Darnell—a place where people have similar powers to his own and won't know about the horrific events that led to being exiled from his previous home. Unfortunately, they do know, and so does Lazaro, a ruthless man determined to regain possession of the powerful emerald Tristan stole. And Lazaro isn't the only one on a quest for Tristan's blood. 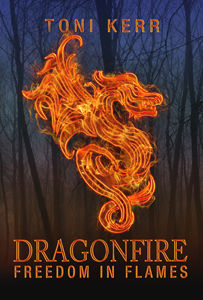 A secret society of overzealous dragon slayers believes Tristan is a worthy target to hunt. When he is captured and put on trial for being an abomination to mankind, his continued denial of dragon ancestry won't keep him safe for long. The Slayers have been hunting for generations, and in a private museum of artifacts and past conquests, Tristan discovers a handful of gems akin to the emerald and a new mission—if he can survive long enough to escape captivity. But then...no amount of protection or denial can save him from himself. Tristan is caught in a losing battle between the Slayers’ poison and the call of hibernation, while fighting to co-exist with increasing amounts of power that threatens to destroy everything. 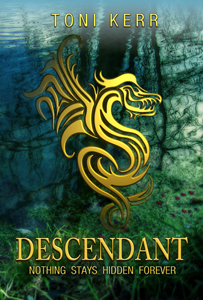 Jacques and Molajah remain elusive and Tristan must plan his own course of action while he still can. 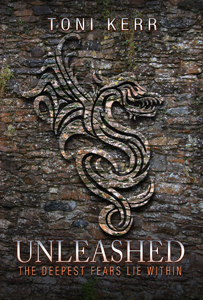 An uprising in the realm of dragon spirits suspends any sense of leadership within the council and forces the ghostly ancestors to make a choice. They can join the rebellion in support of Tristan freeing the Faerie races, or support the council in their desire to keep a centuries-old contract from falling apart, assuring them time to oversee the world’s progression through an age of destructive humans, in hopes of releasing the races to a safer, less toxic era. The stakes are high for either choice and Tristan must decide for himself, which of the races will be sacrificed for the greater good.